Rosin is applied to the bow hair and is essential for all string players. It comes in the form of a small compact cake, and choosing the right type for you can be confusing and frustrating. It can range in price from £1 – £30, comes in different colours and consistency, and different types exist for different instruments, string brands and types, and even seasons. My advice is to take much of the debate as to when and where to use specific types of rosin with a generous pinch of salt. There are so many variables that influence the overall effect of rosin in such subtle ways, that in the end it really just comes down to personal preference. I have a few tips worth considering when choosing your rosin. My aim is to eliminate some of the confusion associated with choosing the right product, or the need to visit forum discussions on the subject will only serve to make you more confused. When you’re in the early stages of learning how to play your instrument, the last thing you’re going to notice is the subtle difference between the grips offered by light or dark; powdery or hard; or metallic or non-metallic rosin. At this stage, all you need is a reliable brand of rosin which serves the essential purpose of keeping your bow hair sticky and allowing it to grip the string. There is no need to be extravagant, and no need to have your head turned by raging debates over which brand offers the best grip for various bow articulations. The only type I would avoid at all costs is the very cheap, nasty rosin that tends to come with very low-budget student instrument outfits and sometimes found on Ebay at around £0.30 per cake. In fact, my advice is to avoid these outfits altogether, but I appreciate that this is not always possible. 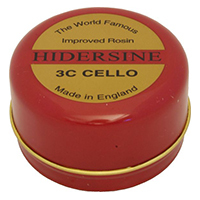 My recommendation for beginner to intermediate students is the very popular Hidersine brand, which costs a mere £1 – £4 per cake and providing it is not lost or dropped (rosin is brittle and shatters very easily), will last most players for around three years. Also popular in this price range is a brand called AB Rosin. More advanced players will experiment with different string types in their quest for the ideal sound. What strings to choose for your instrument is yet another thorny subject covered in my Strings article and also comes down to personal preference for the most part. Metal strings behave differently to gut and synthetic core strings, and require different types of rosin. Because metal strings are more widely used, most rosins are suitable for them. 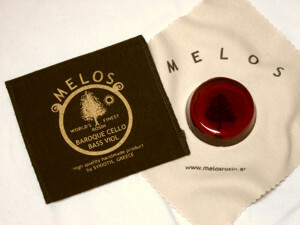 The following brands are recipes devised for synthetic and gut core strings: Melos Baroque Cello rosin (ideally suited to gut core strings) and Dominant Violin, Viola & Cello rosin (developed for use with Dominant synthetic core strings, but well suited to all synthetic core brands). Prices range from around £5 – £10. For those who are sensitive or have allergies to the dust produced by rosin, fear not! Several makers now offer hypoallergenic rosin made with non-irritating ingredients and allergy-tested. The best known of these brands are Supersensitive Clarity, Larsen Antiallergenic and Geipel Hypoallergenic. It should come as no surprise that these makes are more expensive than most, and are priced at around £8 – £15. 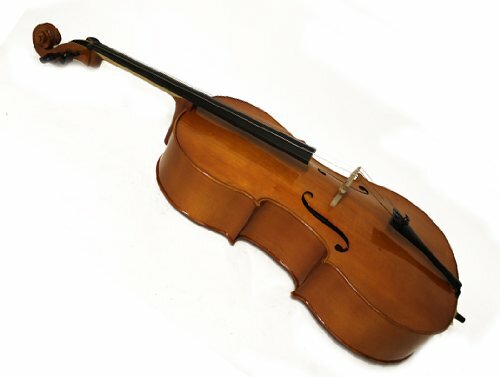 Hill Dark or Light for Violin, Viola and Cello: one of the most widely sold rosins in the world. Average price: £4 – £6. 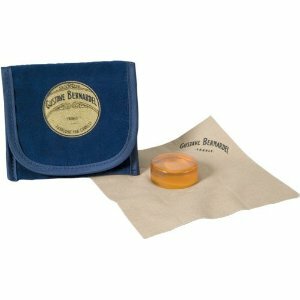 Gustave Bernardel rosin for Violin, Viola and Cello: this fine rosin has a reputation for leaving less dust than other brands and offering “just the right amount of bite”. Certainly one of my preferred brands. 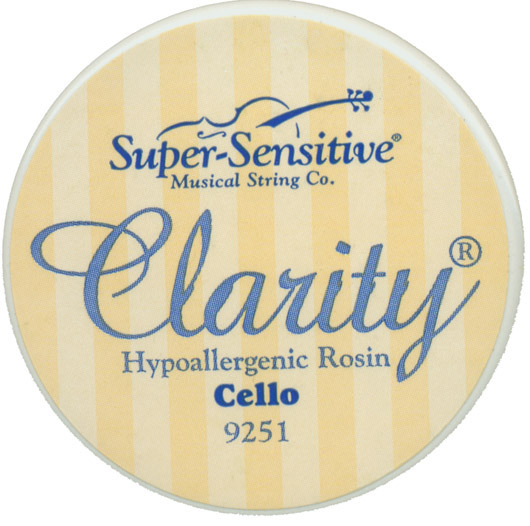 Pirastro Cello & Cellisto: one of the most widely recognised brands for strings. Pirastro offers qood quality rosin suitable for all string types and brands (even if the marketing suggests that the rosin has been specially formulated for Pirastro strings). Kaplan by D’Addario: another widely recognised brand for strings. 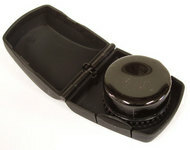 Kaplan rosin gets positive reviews for its quality, low dust and very practical one-handed box design, allowing the player to flip open and apply with only one hand. Larica ‘Liebenzeller’ Rosin – generally considered to be the very best rosin money can buy. Larica contains gold and comes in four different hardness levels and costs around £20 – £30 per cake.